“Lost and Found” is not only the title of my CD album and its opening song; it also is the back story of how this collection of seven of my original songs and “musical monologues” came to be recorded. For years, these creations were “lost” to the public because I could not bring myself to record them. Deliberate neglect of my singing voice after walking away from a promising career as a singer, plus the effects of acid reflux and aging on my “voice box,” had made my singing voice unacceptable – even for an a cappella tape recording that I intended to be heard only by family and friends. songs. Aware that few people listened to music on tapes any more, I asked a neighbor, composer/orchestrator William V. Malpede, if it would be possible for him to transfer the songs from my home-recorded tape onto a CD. Had I known how busy he was with his career, I never would have made such a request. But my reaching out to him in this way reopened a door into my life that had been closed. His reaction to my voice and songs was validated by a composer/orchestrator friend, Alex Alessandroni, who suggested that I contact a vocal coach to help oil the rusty hinges of my singing voice. I followed his advice and, after some eight sessions, I “found” a voice that while not what it had once been was at least acceptable for singing the songs I wanted to share with others. Because of my blindness, my dear friend, Kimi (Wife to Alex and mother of their two wonderful daughters), would walk me to and from my weekly sessions with my vocal coach. Concurrently, “Billy” Malpede and I began to work together so that he could create arrangements for the melodies of my songs, which at that time existed only in my mind. The brilliance of his arrangements lighted the way for me to explore new depths in the meanings of the lyrics I had written, while his performance on a Steinway for the recording elicited a new awareness of melodic nuances in the music of my songs. When it was time to look for a recording studio, an extensive search let me to Van Webster of Webster Communications, a consummate professional and caring human being. During all of this, my part-time personal assistant, James “Jim” Kloes, not only helped me with sighted stuff but, more importantly, calmed my frayed nerves and joined the others now involved with my project in assuring me that I could do this. And so it was that I rediscovered the joy of being part of a team of creative artists collaborating to produce the best possible “product” they can. I have always believed that barriers are for honing our strength and challenges are for developing mental and spiritual enlightenment. Because I was sighted most of my life, the barriers and challenges created by blindness at times seemed almost insurmountable. But I persevered, writing a mainstream novel, passing the first of two tests for my black belt in Tae Kwon Do, and now, with the help of those I have mentioned above, my songs and I are no longer lost, but found. The composition of the “Lost and Found” recording is "book-ended." This is a literary device often used by writers as a specific style for presenting the contents of an article or book. Five songs comprise the contents that follow, and all are about love lost: “Little Boy Blue” and “In the Night” are "musical monologues" (soliloquies sung rather than spoken); “Last Love Affair” is a cabaret song; “I Prefer to be Blue” and “I’m in a Gloomy Mood” are in the blues style. The closing book end, “A Blessing in Every Way,” is an ode to the joy of experiencing limitless love. The discerning listener will hear in this song a declaration of independence: “Giving and sharing, and loving and caring … whomever, whatever, wherever, however I may!” No one is going to tell singers of this song who, what, where or how they may love. 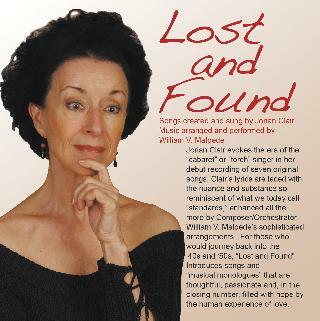 Thanks to a new fan for sharing his creative and imaginative way of telling a story by using just the song titles from Jorian Clair’s “Lost and Found” CD album. 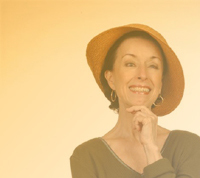 (See Jorian’s “Storytelling Through Song.”) Share your own song-inspired feelings. I may be in the midst of my Last Love Affair, causing me to at times to be a Little Boy Blue, especially In The Night. But you know, I Prefer To Be Blue although that can put me In A Gloomy Mood at times. But whether Lost And Found, or disaster, I am sure it is a Blessing In Every Way. Listen, now, to Jorian's Songs!